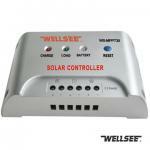 WS-SC2430M 30A Wellsee remote solar controller_Solar Controller_Products_solar controller,charge controller,solar regulator,lighting controller,mppt controller are selling best on our website! 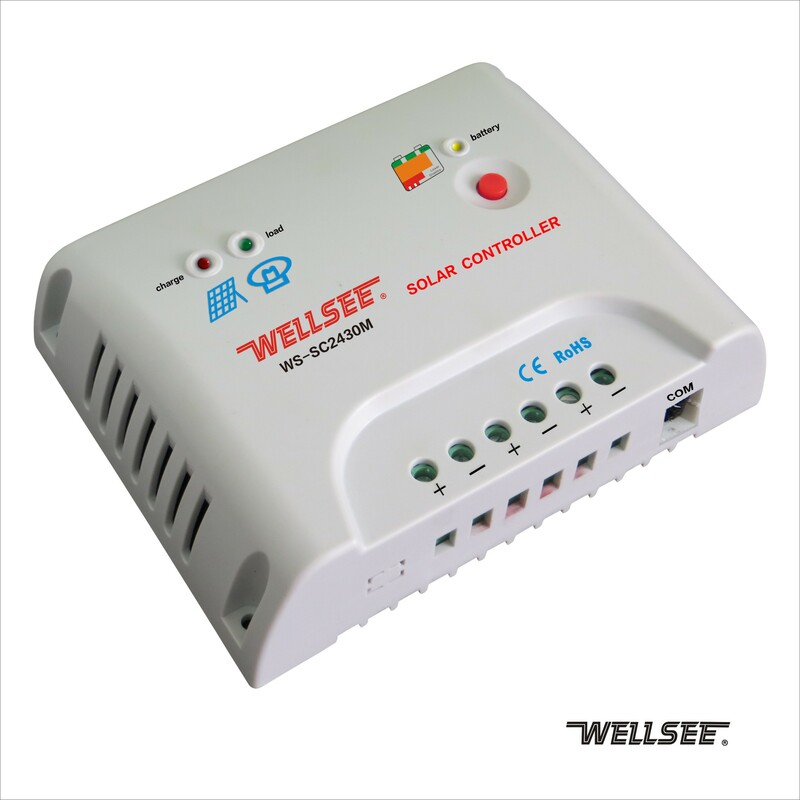 WS-SC2430M Wellsee remote solar controller (also called wellsee three-stage solar controller/ wellsee photovoltaic controller ) applies in solar photovoltaic system which coordinates the working of solar panels, batteries and loads. This controller is different from other solar controllers which can monitor the running data and modify the parameters of controller by connecting with MT58 LCD displayer unit or PC monitoring software and other communications devices. 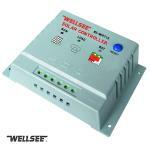 It increases the comprehensive protective functions so that the entire system can operate efficiently and safely. 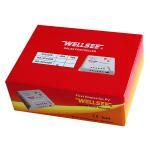 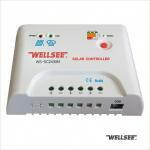 WS-SC2430M Wellsee remote controller applies to all types of solar panel and batteries. Adopting industrial grade MCU (Micro processing controller) has PWM (Pulse Width Modulation) program with variable duty cycle functions. 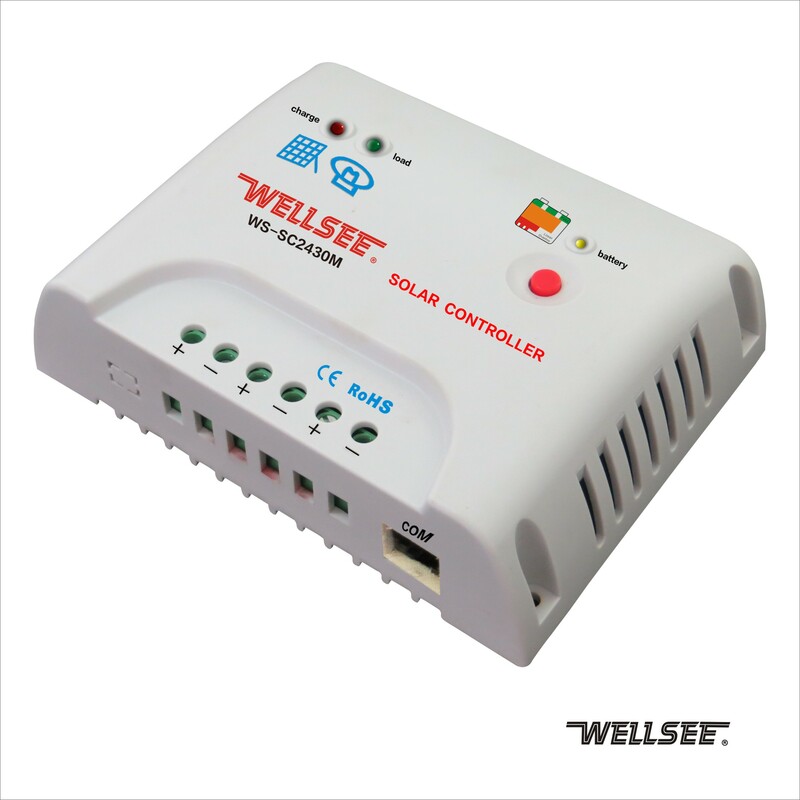 It can provide fast and best charging voltage and current from the PV panel and dynamically adjust the pwm parameters According to different types of batteries and charging state. 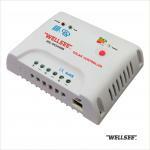 So thatimproved charging efficiency, while preventing overcharging and the effective protection of battery life. • Purling current floating charge to protect battery. 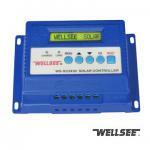 • Calculation and in-time power record capability, so that user can monitor charge and discharge value.